MOSCOW - A Russian probe into the death of Palestinian leader Yasser Arafat has found that his death wasn't caused by radiation - a finding that comes after a French probe found traces of the radioactive isotope polonium and a Swiss investigation said the timeframe of his illness and death was consistent with that of polonium poisoning. French experts found traces of polonium but said it was "of natural environmental origin," according to Arafat's widow, Suha Arafat. Swiss scientists, meanwhile, said they found elevated traces of polonium-210 and lead, and that the timeframe of Arafat's illness and death was consistent with poisoning from ingesting polonium.
} There was no immediate explanation as to how the three investigations could have come up with different conclusions. Dr. Abdullah Bashir, the head of the Palestinian medical committee investigating Arafat's death, said they were studying the Russian and Swiss reports. "When we finish we are going to announce the results," Bashir said in a telephone interview from Amman, Jordan. He wouldn't say when that might be. Arafat's widow filed a legal complaint in France seeking an investigation into whether he was murdered after a 2012 report which said traces of polonium were found on his clothes. As part of that probe, French investigators had Arafat's remains exhumed and ordered a series of tests on them. Polonium occurs naturally in very low concentrations in the Earth's crust and also is produced artificially in nuclear reactors. There are also tiny, generally undetectable amounts of polonium in humans. 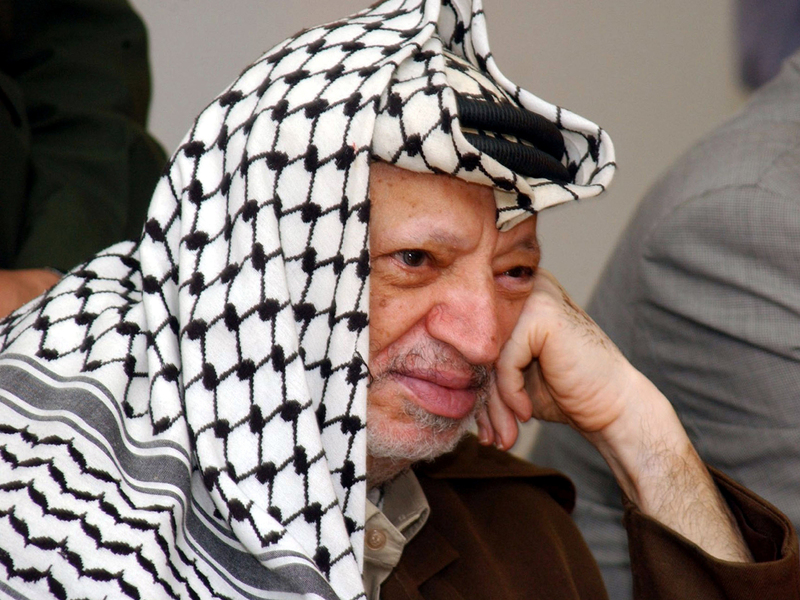 Palestinian Ambassador to Russia, Fayed Mustafa, was quoted by state RIA Novosti news agency Thursday as saying that the Palestinian authorities respect the Russian experts' conclusions but consider it necessary to continue research into Arafat's death. Uiba said, however, that his agency hasn't received any Palestinian request for additional studies. Polonium can be a byproduct of the chemical processing of uranium, but usually it's made artificially in a nuclear reactor or a particle accelerator. Dozens of countries including Russia, Israel and the U.S. have the nuclear capability to produce polonium.